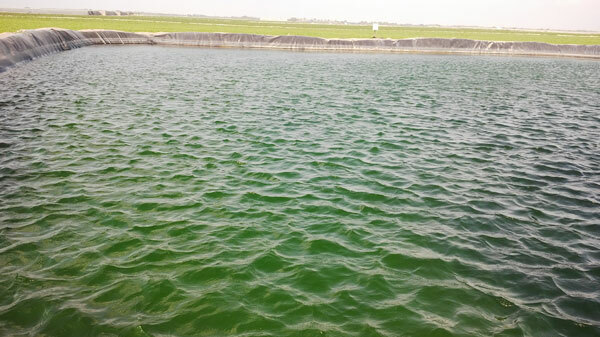 Algae in irrigation lagoons is a major issue for horticultural businesses, green water can clog filters and nozzles in trickle irrigation system and blanket weed can clog the pumps in the lagoon. We have supplied systems to deal with both, here in the UK and overseas. 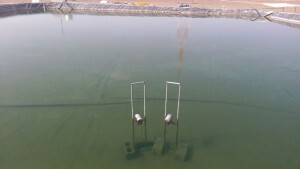 They have been installed both in small lagoons and very large ones up to 350m long. 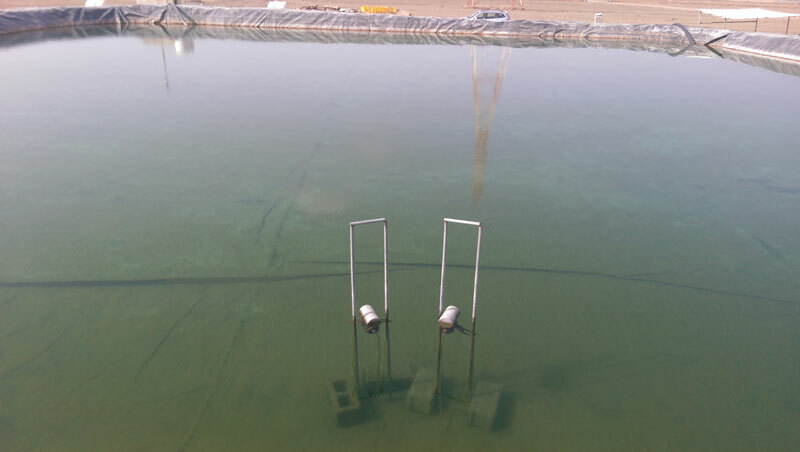 One Smart Sonic 50 unit with two transducers was supplied to treat one of the lagoons, measuring 960 sq m.
In three weeks, the algae had been killed and the dead cells were floating on the surface of the lagoon. 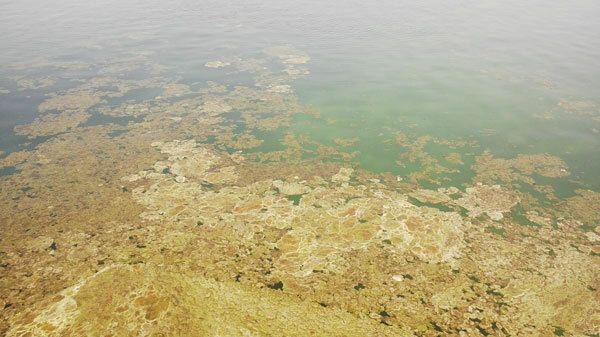 Once the dead algae had broken down, the water clears. A few weeks later & crystal clear water. Another problem solved, another satisfied customer! 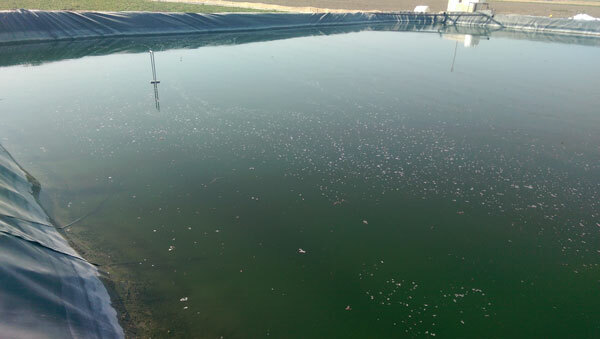 If you have an issue with algae in your irrigation system, please contact us.